The polite thing to do when you know there are zombies in the area is warn your neighbors. What better way to do that than putting the Zombie Warning Sign up in your yard? The sign is eye-catching and easy to put up. This sign is made from molded plastic and is designed to mimic the general shape and appearance of a classic road sign, although thanks to this signs worn and rugged appearance, it is unmistakable as decorative item. 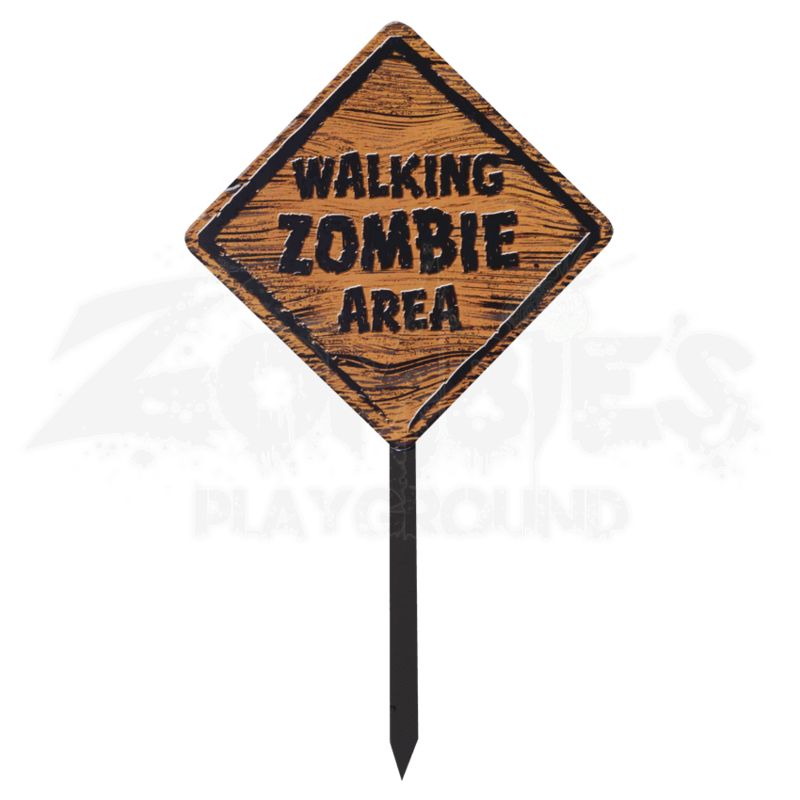 The sign is diamond-shaped and features worn, dirty yellow coloration, with the message of Walking Zombie Area being written on the sign in bold, black lettering. The sign measures approximately 18 inches tall and 18 inches wide, and it includes stake for easy placement. With the stake, the sign measures 36 inches tall. 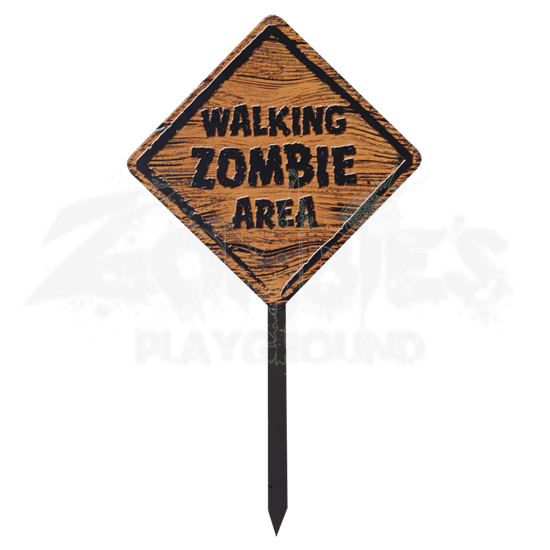 Stake this Zombie Warning Sign up whenever you are putting on your own zombie outbreak to inform everyone who passes by that there are zombies on the loose, or use it as a clever decoration for your zombie-inspired decorative theme!